God most often speaks to me in images. I love to write, and I have found a profound beauty in sharing this passion with my Maker. While I write on pages, He writes on the facets of time and space, on the tablets of our hearts, and on the expanse of human history. He is the original Author of the metaphor. I think He created it just to have a way to get around the feebleness of our human minds and experiences. It’s His loving way of humbling Himself to our level even as He effortlessly pinpoints His thoughts using the congruency of His own creation. In 2015, when praying and asking God to show me what season I was in or in what direction I was hiking, He would only ever show me a tree. All year long, it was the same tree. The tree had strong, grounded roots that were digging ever deeper into the soil where it was placed. But, above ground, the tree, though expansive with branches in all directions, was burning. The leaves were smoldering. The trunk was covered in blackened ashes. It was consumed in smoke as it was pruned away. And that is the most adequate way I can describe how 2015 transpired. It was a pruning year and not comfortable or even enjoyable in various respects. It was a year marked by immense loss, tragic death, betrayal, and disappointment. Rinse and repeat. The aforementioned cutting away of so many relationships, goals, and treasures that had been held close. But, it was also a year of learning (as always, right?) and being positioned for a new season. At 26-years-old with only four full years of the Father’s work under my belt, I am not the authority on seasons of ministry, but I am learning the unforced rhythms of grace (as The Message translation so aptly puts it in Matthew 11:28-30). I am learning that in order to be poured out as an offering for the Father to the thirsty souls around me, I have to first drink, even if it is from the cup of Jesus’ suffering. As cross-cultural workers, there is often such pressure to be productive and to have something to show for what we do. It may be that the pressure comes from supporters, or perhaps, it is merely pressure we put on ourselves. Either way, I personally have lost track of the times that I’ve been asked by visitors and veterans alike the nerve-wracking question of, “What do you do?” And, in my heart, I know that the reality is that I do nothing. He—who is all-encompassing and beyond my understanding of even perfection—is the One who does it all. I am really only along for the greatest adventure in obedience available to me. But, that mindset of being defined by what we do sends us into analysis. Lists of accomplishments. Job titles. Numbers of converts. Transparently dishing on our finances. All in all, we are trying to show ourselves worthy of being believed in. All of these elements of accountability have their place, but they are not our worth. They shouldn’t even be the reason that we are where we are. We are here because He invited us to the marriage feast, to be a part of wooing His Bride on other soils. 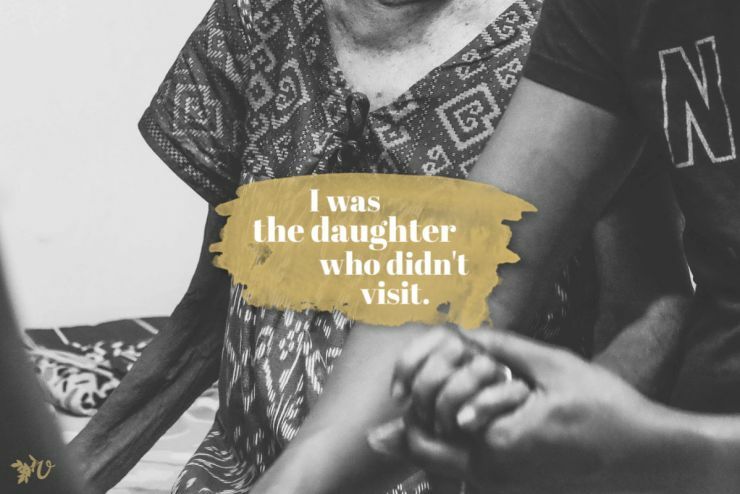 Just as Hannah had to go through her season of barrenness, of sitting at her Father’s feet, weeping before His throne and insisting on her fruitfulness, there are times in ministry where we are called to be visibly barren. Trees without leaves, without fruit. There are times when we have to write that monthly newsletter, and we feel like we have nothing to justify our existence in a foreign land. But, in the midst of Hannah’s tears in intimacy with her Maker, all of heaven was fighting for her harvest. In the midst of the most painful pruning, when the trees of our hearts do have anxiety and do doubt that spring will come, all of heaven is fighting for our fruitfulness. Seasons of winter we go through are not condemnations or abandonment by our Father. They are really promises and preparation for the work that He’s doing, unbeknownst to us. At the end of 2015, I was at a loss. I kept turning over the question in my head of, “Well, now what I am supposed to do or be?” I felt like I wasn’t busy enough to justify my existence in Honduras. (Wasn’t obedience enough to get me here? Shouldn’t it be enough to justify still being here?) One day, I had been asking my Father what 2016 holds and what my one word is for this approaching new start. But He had been silent until He casually interrupted a tirade I was unleashing on my boyfriend, so wanting someone to give me the answers to my crisis of worth. Just be loved, Sarah. Beloved. And, as the tears began to stream down my face, I knew what word, what focus, what purpose He has for me in this upcoming year. I was asking the wrong question. It’s not about what I do. It’s about Whose I am and how much I let Him love me. 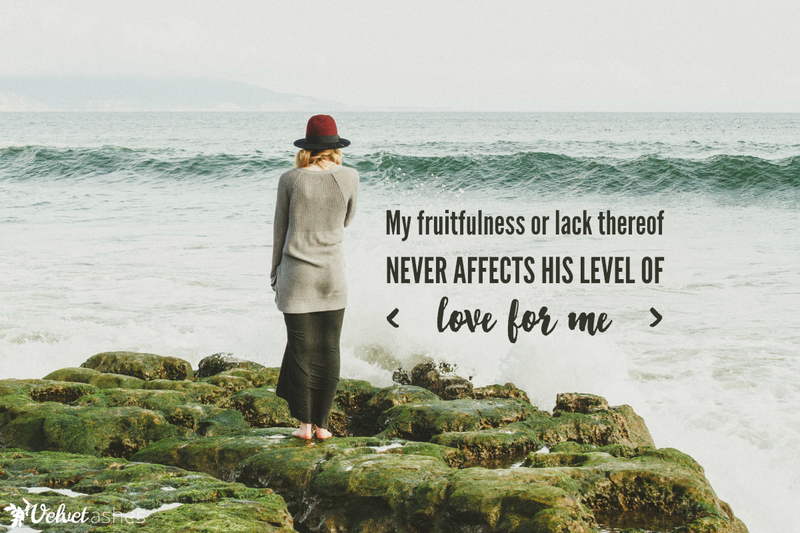 My fruitfulness or lack thereof never affects His level of love for me. In this upcoming year, I don’t know what season you’ll find yourself in. But whether in the blooms of spring, the scorched leaves of summer, the transition of autumn, or the barrenness of winter, I encourage you to make your first priority receiving His love. Our first and foremost purpose for being is to be loved. Ministry is only a bi-product, an overflow, of that receiving. Just be loved. It is your highest calling. Have you gone through seasons that looked barren? How has God used His nature to speak to you about where He is leading you? Second, love this post. It really spoke to me this morning. God has used the tree metaphor with me repeatedly for about 3 years. Speaking in different ways through the tree. Especially, “But, in the midst of Hannah’s tears in intimacy with her Maker, all of heaven was fighting for her harvest. 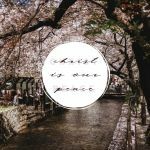 In the midst of the most painful pruning, when the trees of our hearts do have anxiety and do doubt that spring will come, all of heaven is fighting for our fruitfulness.” Yes. I don’t know your friend, sadly. There is a huge number of expats that live in Tegus with so many aid organizations. This post resonated with my heart so well. Thank you so much Sarah for sharing this wisdom. Thanks, Brittany. It’s always such a blessing when you find out that you haven’t been alone in feeling a certain way. It’s one of the joys of Velvet Ashes. Ooh, love this about the seasons. Will definitely watch the Bethel video (love Bethel!). I feel I’m in a season of pulling back from productivity, order to be more fruitful later. And also, because He asked me to. Have fun with the Beloved theme! I seriously mean that — it wasn’t my chosen theme for last year, but it ended up being a HUGE part of my year, changing me in deep, deep ways. And in the end it was fun, because I really got to find out how much God loves me. I went and watched that video — thank you for sharing! I loved it. It expresses so well the truth that fruitfulness only comes out of the depth of our relationship with God. And not to freak out about winter or seasons of barrenness. They’re normal and good for us. I especially loved the part where he said people ask for his annointing, and he tells them, you don’t want that! Anything good we have was born in the fire. I so relate to that — anything good in me came through fire (and usually tears too). I’m really looking forward to what this year holds. I have been amazed how different (in the best way possible) this year has been in a month from last year. Lots of needed changes for a weary soul. I so support you with pulling back to be more fruitful later. It may look odd to others or be cause for criticism, but I have lived how useless it is to be busy for the sake of being busy. And, I am such a firm believer that it’s in the quiet, still, intimate moments with God where real fruitfulness is born. I think I’ve read this three or four times now and ended up in tears every time. Each time for a different reason. I’m just starting to emerge from one of these seasons. I have asked the questions of being enough to justify my existence. I’ve had similar conversations with my boyfriend, letting him know I felt invisible and unable to measure up. (And in some ways especially compared to him who has most of the same strengths as I do, except for stronger and then a second set thrown on top of those.) He responded with a simple question. “Do you know Jesus loves you apart from anything you could do? You are already enough.” Can I say tears? I didn’t think they would stop. Over the last few months, I have had reminder after beautiful reminder that I am loved. Truly, deeply and unconditionally loved by God. Thank you for sharing this at just the perfect time. You are telling my story exactly, Emily: “he has most of the same strengths as I do, except for stronger and then a second set thrown on top of those.” Except — I was already married when I started having that crisis. But there is an end to this crisis: Love. Be loved. Be the beloved. Hugs to you today — you are most certainly not alone. I remember reading your post “Jesus Loves Me This I Sometimes Know” when it first was posted. It was much more recently though that I came across it again. You put into words so much of what I was feeling. Again, tears. I don’t cry often or easily, but it has been so so healing. Thank you for the hope that there is life on the otherwise of this. Hope — that is the thing I want you to have! I was so hopeless, I thought it would never change. I thought it would always be that dark and lonely. And I never told anyone, which made it even more shameful for me, because I never imagined anyone else was going through anything like it. But it did change, and I believe it will for you too. He does love you. He loves you just as much as He loves your boyfriend! And that love is enough. Praying for you to experience His love and His “enoughness” in this season. 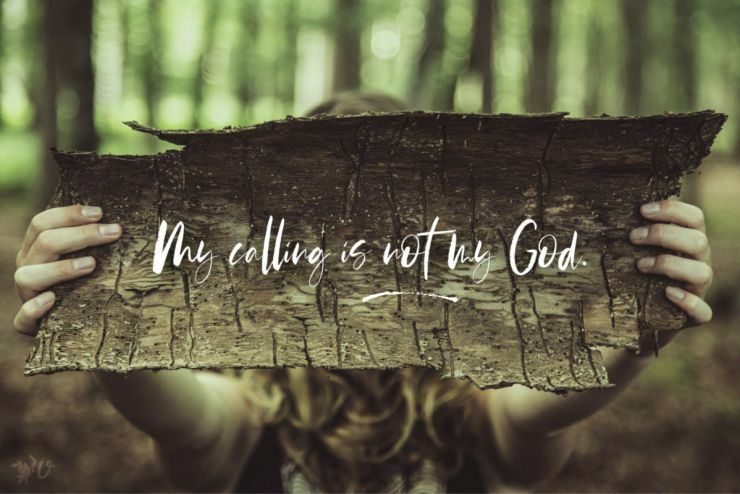 My situation of feeling like I wasn’t enough was often about not knowing where I belonged in ministry, feeling like I didn’t fit in anywhere, or into anyone’s expectations. A lot of times, God would prompt me to go back and read verses that He had given me concerning His plan for my life or prophetic words that others had declared over my life. And a lot of times, I didn’t want to because it just felt painful to be reminded of what He said He had for me and see circumstances that seemed like they weren’t moving forward. But, it was a great way to push myself to have hope. 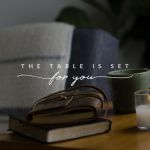 And, having come out on the other side of that long, four-year season, I can definitely tell you that He is laying the groundwork in your heart and character of security in Him and making you exactly what He needs you to be for your next season. We, as humans, are so insistent on the destination while He is all about enjoying the process. I’m so glad you’ve been receiving reminders of how loved you are. He always sees the beauty in us that we don’t see in ourselves. Thank you Sarah. Yes, I have been through a barren season, a season of isolation. My go to was gone and the biggest lesson I needed to learn–God is enough. YES HE IS!!! After we came through the hardest season we’ve been through, someone asked me what I thought God had been teaching me in it. Without even thinking, I said, “That He loves me.” And that was it. I still can’t even explain the how or the why of it, but I know it. Thank you for writing this that reminds me of that time and that LOVE. 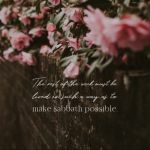 Sarah, you have learned, and probably will learn again at some point, the blessing of knowing that who we belong to is more important that what we do. I find that is a constant choice that I am who I belong to NOT I am what I do. 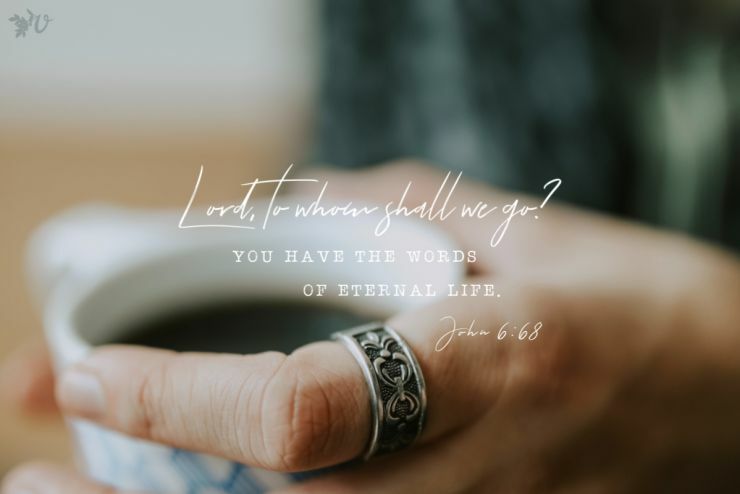 It seems inherent in N. American culture and also in the culture of those who work overseas and it’s a deadly thing; deadly to our spirit, our relationships, our ability to live out the calling that God has placed on each of us. May your coming year be full of the joy that comes with the freedom of be-ing. Hi Sarah, really appreciated your post. I recently got to go to a retreat for expat women in the city where I live. During the retreat they played a song for us several times and I thought it might really encourage you in this season. The link didn’t have permission to play in Japan…but I listened to the sample on iTunes. I ended up buying the album. Thank you for sharing. Such beautiful lyrics. The album was Christy Nockels “Into the Glorious”. Yet again, using the metaphor of the tree. I can’t find any links to the song (being in Japan). I did find a link to her talking about the message of the song. More metaphor of the tree that was too beautiful to not share. THIS was such a great post for me today. Met me right where I am at. Beautiful.